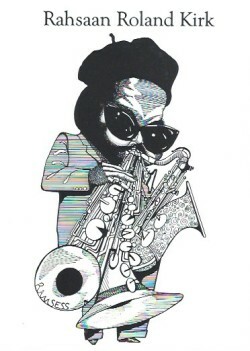 Saw Steve Turre and the Eulipion All-Stars at *Cafe Stritch, where they celebrated the life and music of the late, great Rahsaan Roland Kirk. In a set that lasted nearly two hours, the group performed selections from Rahsaan’s repertoire with a sense of reverence and swing. The word, Eulipion, refers to what Kirk called, “Agents of Change” – Poets, painters, musicians, writers and artists who changed the world. Kirk was an American jazz multi-instrumentalist who played tenor saxophone, flute and many other instruments. He was renowned for his onstage vitality, during which virtuoso improvisation was accompanied by comic banter, political ranting, and the ability to play several instruments simultaneously. He was also an innovator and a formidable composer, as evidenced by the band’s interpretations of Bright Moments, Serenade to a Cuckoo and Dorthaan’s Walk among others. The Eulipion All-Stars are: Trombonist Steve Turre, reed players James Carter and James Mc Neal, pianist Matt Clark, bassist Marcus Shelby, drummer Darrell Green, guest vocalist Terri Odabi and Betty Neals, spoken word. 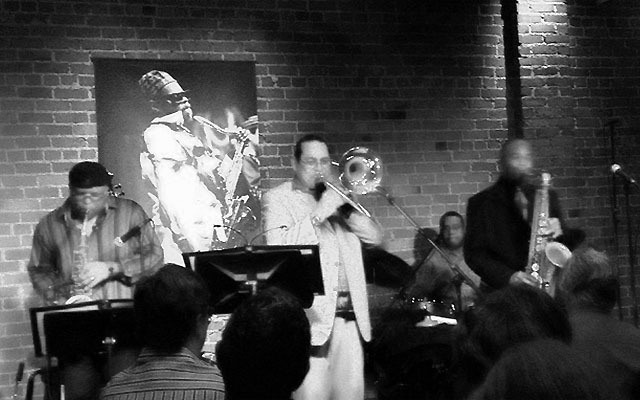 Thank you, Cafe Stritch for the Bright Moments and a Rahsaanathon of epic proportions. 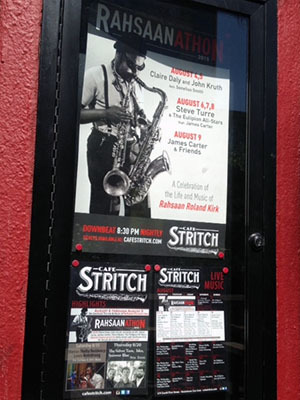 The Third Annual Cafe Stritch Rahsaanathon runs through August 9th, 2015.